If you’ve been on the internet at all in the last decade, chances are you’ve heard his name and maybe even read some of his writing. 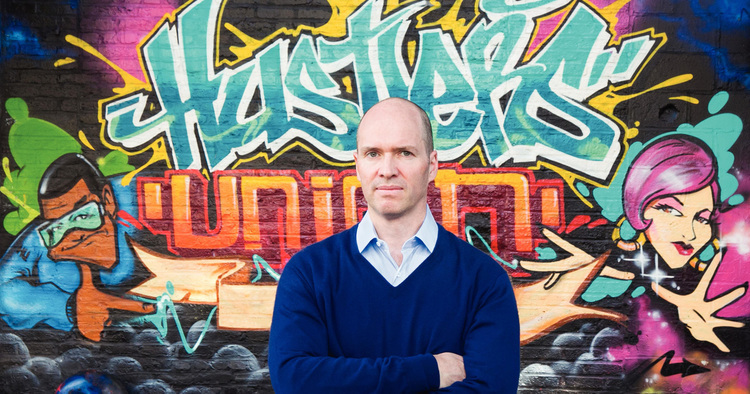 Blogger, thinker, and entrepreneur Ben Horowitz is the co-founder of Andreessen Horowitz, the Silicon Valley venture firm that put smart, early money on Facebook, Foursquare, and Jawbone, just to name a few. Over the years, Horowitz has founded and sold a revolutionary cloud company, worked at America Online, Netscape, and Lotus, and co-founded a VC firm. On his blog, Horowitz draws on these many experiences and shares his thoughts on entrepreneurship, building and leading organizations, and venture capital – with just enough rap lyrics to keep things interesting. This curated list of reads for managers, entrepreneurs, investors, and leaders of every stripe covers scaling a business to branding and back again. Start with the blinks of his picks to get into the mind of one of today’s most influential thought leaders. This book by C.L.R. James weaves the history of Toussaint L’Ouverture and the Haitian revolution. It also happens to be Ben Horowitz’s favorite on leadership. Andy Grove’s book is Horowitz’s pick on strategy, suited well to anybody calling the shots in a company. Here, Grove suggests strategies that companies can adopt to survive – and even benefit from – what he terms Strategic Inflection Points: those sink-or-swim moments in a company’s existence. A great read for business executives in the tech world, The Innovator’s Dilemma by Clayton Christensen explains why so many well-managed and well-established companies fail dismally when faced with disruptive technologies and the emerging markets they create. Horowitz’s pick for all things branding, naming, and marketing, Focus by Al Ries describes how corporations in America lose profits by focusing on growth. It explains the leading management strategies of corporations and why they’re wrong. This is a good read for anyone managing a company they want to perform better. Alfred Sloan shares wisdom gained from his years leading General Motors, covering planning, strategy, finance, leadership, innovation, and management. Horowitz likes this one for strategy. If you’d like to hear more from Ben, head over to his blog, follow him on Twitter, or check up his new book – The Hard Thing About Hard Things.